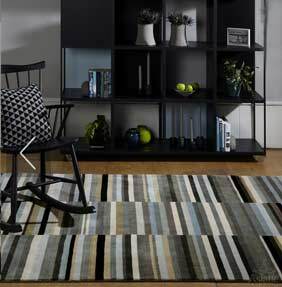 Displaying bright tones and modern-charm, this stunning striped pattern is deep in texture and abstract in design. Jacob rugs are hand knotted in India, the pile is made from 100% pure New Zealand wool, each rug is hand-washed to give a crisp pure appearance. This is a heavy weight handmade rug with a thick dense pile, very hard wearing and practical. Choose from 3 sizes, 120x180cm - 160x230cm and 200x300cm. This range can be custom made to your required size.